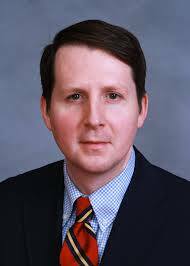 There was news yesterday that NC State Rep. Bryan Holloway of Stokes County was resigning from the General Assembly to take a lobbying job with the NC Schools Assn. That wouldn't ordinarily be a head-turner, but Holloway has been the General Assembly's most photographed metrosexual and was very publicly outed a couple of years ago as the secret author of the Wasp101 blog, a preening, clothes-horsey sort of daily diary about making a good first impression. The fact that Holloway felt at the time of his outing that he must deny the double-life only made the masquerade all the more interesting. Ivy Style appears to have been the first to ferret out the truth. Camel City Dispatch in Winston-Salem picked up the story and added good detail. Investigative journalist Greg Flynn also contributed. Weird dude, this Bryan Holloway, both for his need to parade for the camera and for his continued denial of the truth. Now he's a lobbyist for education in this woe-begone, education-killing state.